Keeping clients happy is often tied to good communication. But an excellent work will make them happier. Kitchen design is more than picking a door style, placing a few appliances in a room and trying some trick layout to complete the job. 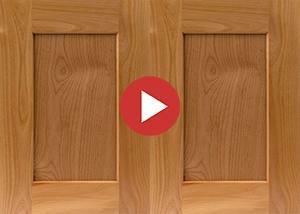 A professional cabinet maker knows that besides the skill and experience, having appropriate tools make building the cabinets much easier, faster and accurate. That includes using a design program to keep up with the ever-changing world of emerging technologies. If you are still hand-drawing your designs, try out Pro100. You can go by standard and traditional plans like placing your sinks in front of the window. However, a professional designer will first determine the customer's needs. Do they like traditional appliances or modern stainless steel? Using Pro100 software is a sure way to handle your design projects without wasting time. Get your room size and walls and ready to go.The program has standard libraries set up for clients to pull cabinets out of, re-size, design and send to the CNC machine if you have one. You can also integrate pricing and job costing. It doesn't matter whether you are doing closets, commercial cabinets, you name it. It works for anything within a building! The time you take to translate your drawings without errors into a meaningful report including cut list, cabinet list etcetera is just a click of a button. If you have done a little research on the various computer programs for doing cabinetry, you will quickly realize the wide variety of programs for kitchen cabinets. The most common problem is steep learning curve and they are not intuitive at all. Pro100 is very easy to use and has unlimited demo version that you can try and play around with as long as you want. It is the simplest program we know of and gives great layout capability, cabinet lists, cut lists, door lists and much more. The 3D graphics is amazing with awesome photorealism feature. There are other programs such us Google Sketchup that links to the Google 3D Warehouse, a repository of already-modeled components that you can download and import right directly into your Pro100 library. Everything has its learning curve and time expense. Pro100 is excellent in both and yield excellent cutting lists and optimization.